One of the most rewarding aspects of enjoying the true Canadian fishing and hunting experience is to venture into the Canadian “bush” on your own. 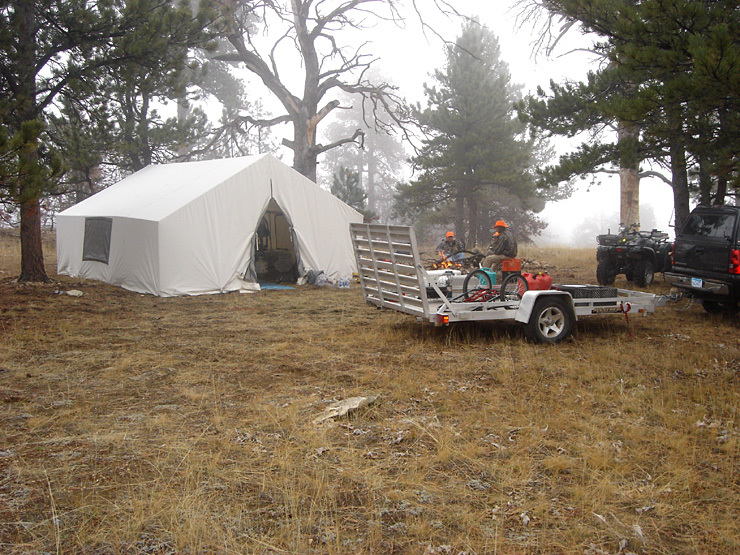 Camping on a remote lake out in the middle of nowhere is what we call, the ultimate outpost camp. Imagine yourself waking up to lapping waves on the lake shore, song birds chirping and loons bellowing their unmistakable melodies. In the morning, when you peek your head outside for the first time, you are exuberated by the fresh air, blue sky and anticipation of what the new fishing day will bring. Everywhere you look, you see nothing but breath taking views of boreal forest and, if you’re lucky, a moose out for a morning swim. 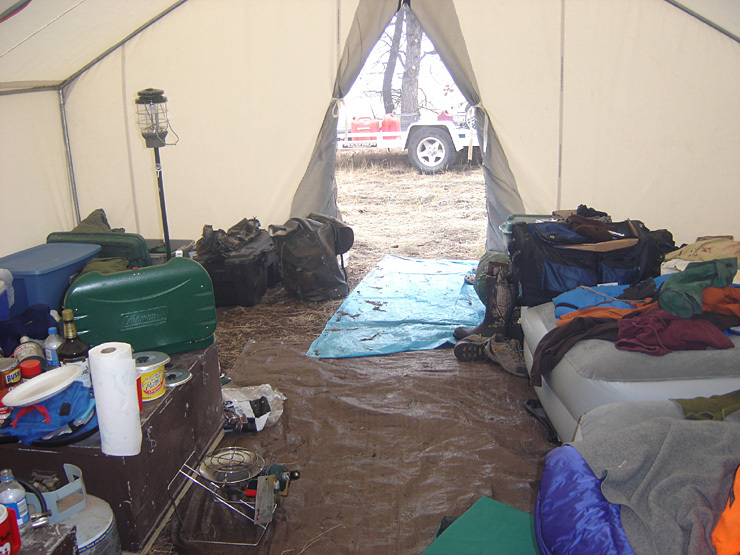 Yes, tent camping in the Canadian outdoors is like camping no where else on earth. And for the extreme fishing and hunting enthusiasts, who could ask for anything more? But Pasha Lake Cabins won’t let you go out into the Canadian “bush” under prepared! 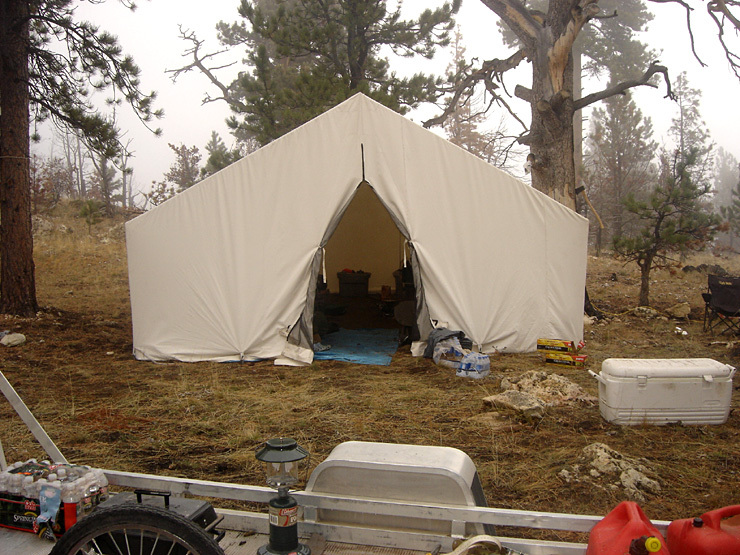 Nope, we are going to outfit you with our Luxury Outpost Camps, including one of our 16 x 20 outfitter tents that are fit for royalty. 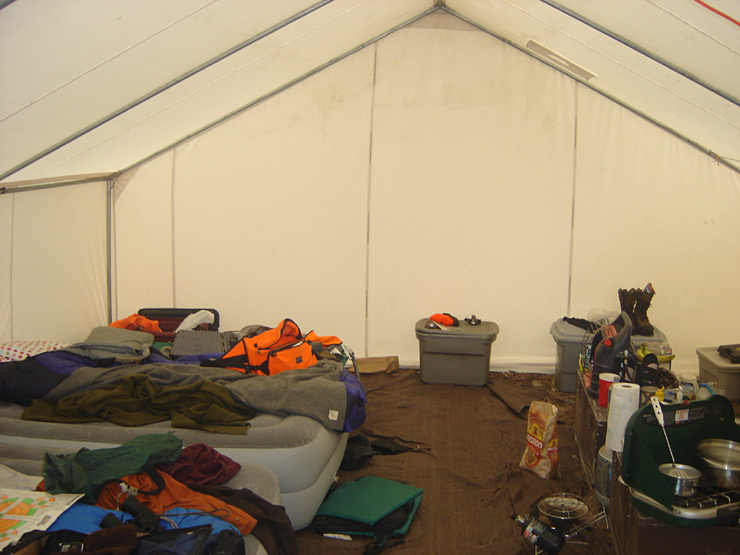 And, there is no need to worry about being cramped, as the tents will sleep 10+ guys very comfortably. 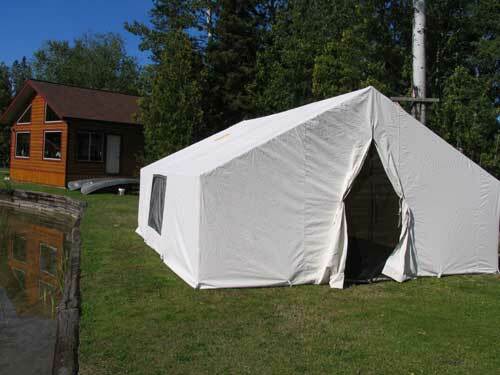 For the chilly mornings, the tents also come with a roof vent allowing you to stoke up the wood burning stove, keeping the cold out and the cozy warmth in. Need a boat and motor? We rent those as well. Basically, all you need to show up with is your fishing rod, a little bit of tackle and food. Oh, and as a bonus, when you rent our equipment, we will throw in all your bait for the week at no extra charge. Hurry and book your Luxury Outpost Camp today, as supply is limited and demand is sure to be high.